NHS England » How do we solve the problem in Liverpool? How do we solve the problem in Liverpool? With poor health outcomes, positive patient experience and flat line funding, the problem in Liverpool is complex. Dr Nadim Fazlani, Chair of Liverpool Clinical Commissioning Group and the NHS Commissioning Assembly Clinical Commissioning Group Development Working Group, says a multifaceted approach is needed. I often hear the phrase ‘it is complex’ and on asking what is complex? I am told it is a complex problem. So I ask myself what is a complex problem and how do we solve it? Something we have learned from the past is our tendency to rush to answers before clarifying what the issues are. We have done a lot of work in defining concerns in Liverpool and have not jumped to solutions. The problem in Liverpool is: How do we improve poor health outcomes in the face of good hospital process outcomes and positive patient experience indicators when the available resources are unlikely to increase? We agree it is complex because this and other variables are not related on a one to one basis. At the Liverpool Unit of Planning we are in the process of formulating strategy and two year operational plans and have been working closely with the eight providers in Liverpool to ensure that our work is aligned. The Chief Officer of Liverpool Clinical Commissioning Group and I have visited the boards of all eight providers and found that while there are problems which affect all of us, each has a different perspective. We also needed to communicate to the board members our own perspective. How will you attack the problem? How will you tackle the issue? How will you get on top of it? The question everybody asked was how you will succeed when the previous three attempts ended in less than success? In Liverpool we all agreed that we needed to act as one and organisational imperatives should not be a barrier. This is now being tested out in reality and regulators have been supportive of this approach. To solve this complex problem, we have multiple goals and we could consider many possible actions, each associated with different and uncertain outcomes. There will be number of solutions – some of which will be translational. We are all connecting and scrutinising data. ‘Big data’ as a term has been banned in Liverpool – we need good information based on analysis of what we already have. Relationships with commissioners and service providers are being built towards becoming non-transactional. We have to work through this fog of uncertainty. We have the values of NHS and its constitution as a guide. All the board meetings that we went to started with a patient story. They were all looking at value through the eyes of service user rather than prioritising intuitional priorities. As I wrote in my last blog, Trusts are looking at how institutions can be allowed to fail so that the system is sustainable. We are in uncharted territory. The Dalton review might provide insight and guidance on how systems can evolve to better support an organisation geared to improving quality – although this may need more financial resources than the current treasury allocations. This year the LMC conference debated co-payments. Perhaps we will have to debate whether the NHS has to be totally dependent on central funding or whether mixed economy is part of the solution. Germany has a universal multi-payer health care system with two main types of health insurance: ‘Law-enforced health insurance’, known as sickness funds and ‘Private’. Germany spent 10.3% of gross domestic product (GDP) on health in 2010. The percentage of GDP spent in the private sector is around 2.5%, compared with 7.8%in the public sector. The European model keeps the boundaries flexible and performs better in key areas including life expectancy, cancer survival and infant mortality. There are – I am afraid – no straight forward answers for the Liverpool problem but then complex problems don’t have simple solutions. Dr Nadim Fazlani is Chair of Liverpool CCG and has been a GP in Kensington Liverpool for the past 22 years, having worked in the NHS since 1983. A Fellow of the Royal College of General Practitioners, he was Chair of Liverpool Health Care Practice Based Consortium from 2006 – 2011 and Chair of Liverpool Central Clinical Consortium from 2011 to 2012, before being elected as Chair of Liverpool CCG. 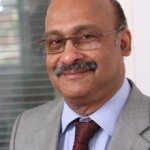 He has also been a long standing GP trainer and an examiner for MRCGP conducted by Royal College of General Practitioners since 2004. In addition, he is also a performance assessor for General Medical Council, a role he has undertaken since 2005.